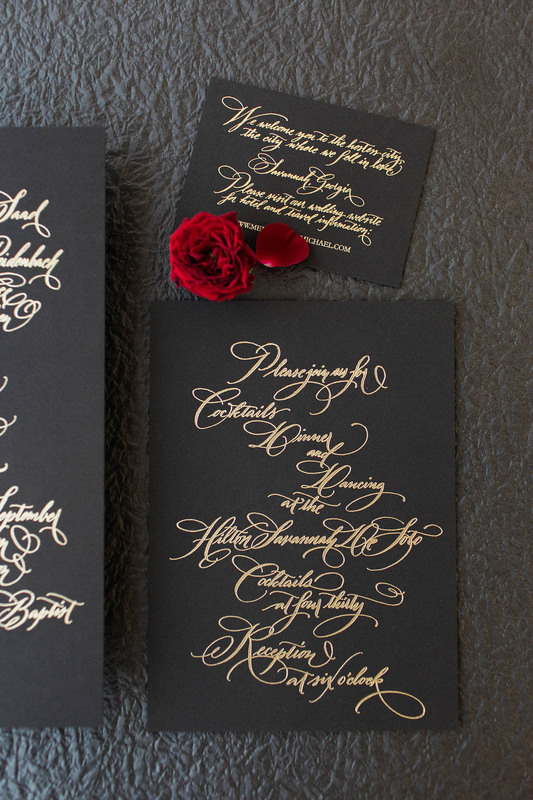 Drama, romance + elegance, oh my! 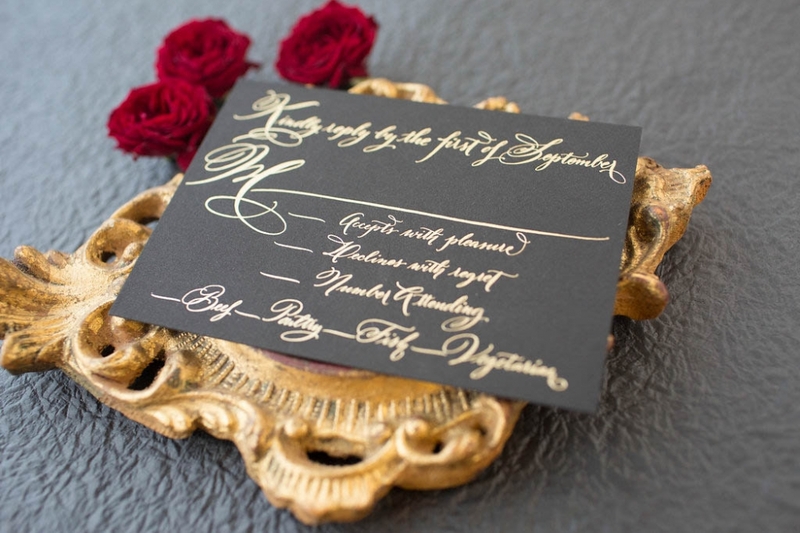 Melinda + Michael’s vision for their Savannah celebration was an upscale calligraphy style with lots of flourishes and formal embellishments. 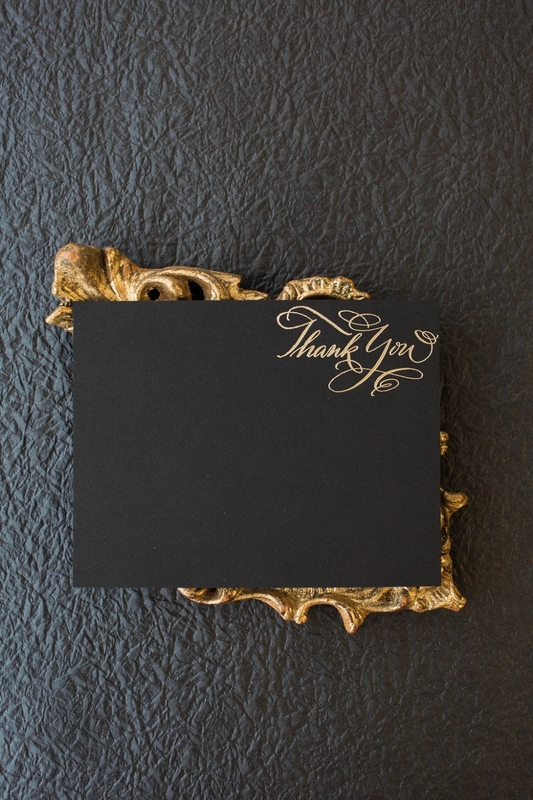 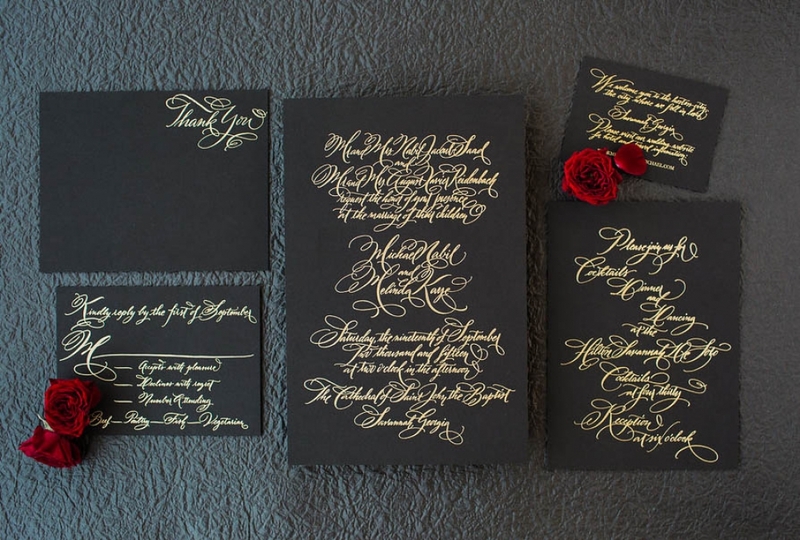 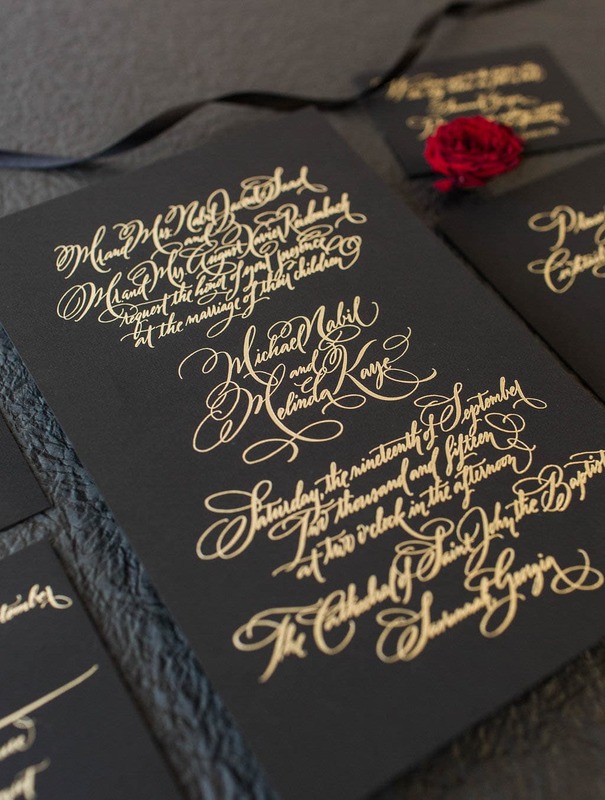 The printed version shown here is gold foil on black paper, one of our favorite combinations for statement invitations!